If you area CD enthusiast, this would be your best choice for its HIFI quality and classic design. It supports CD, CD-R, CD-RW, Mp3 and WMA formats. If you area CD enthusiast, this would be your best choice for its HIFI quality and classic design. It supports CD, CD-R, CD-RW, Mp3 and WMA formats. You can play the music from your USB flash disk as well. Imagine that you can listen to your favourite songs or music in the morning by its built-in speakers or connected headphones and remote it. Meanwhile, it will be a decoration after you mount it on the wall. • Classic power pulling switch; Multiple functions of remote control, FM radio, USB MP3; Easy to mount on the wall which makes it a decoration on your wall and makes your home full of artistic. • Work as a wired speaker while AUX line-in from other audible devices such as mobile/tablet/laptop via 3.5mm male-to-male audio cable attached in the package. • Become a HiFi Bluetooth speaker while contacts its built-in Bluetooth receiver with other Bluetooth-enabled devices such as mobile/tablet. • A perfect gift for children and elders, suitable for language learning, prenatal education, antenatal training, listening to FM radio broadcast, CD/MP3 music play and home decoration. • Play as an MP3 player while reading from USB/CD and output to external headphones or loud speakers via 3.5mm jack cable. 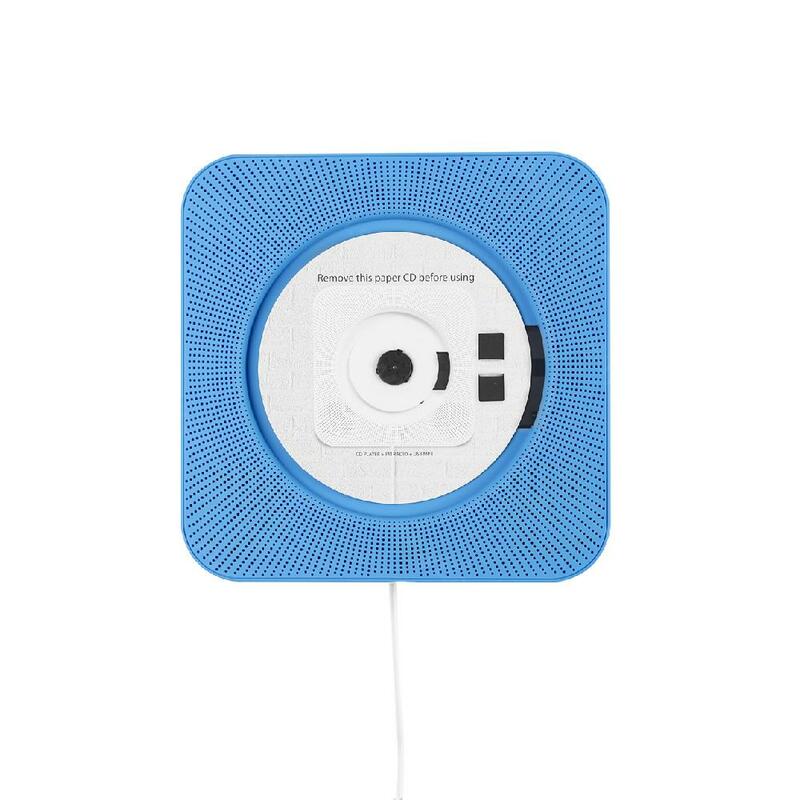 • This CD player is not with a Bluetooth transmitter function and it can not connect with other Bluetooth speaker/headphone via Bluetooth. • Quick link: CD Slot Car Phone Holder. 가성비 너무 좋아요 라디오도 잘 잡히구 블루투스더 잘 잡혀요. 바빠서 받고 거의 일주일정도 지나서 사용해본 것 같네요 판매자님 포장도 성의있게 해주시고 감사합니다 하자 없는 제품이라 다행이예요 잘 사용하겠습니다! I like its design, good quality, nice design exactly what I wanted.